Read interesting facts, do experiments, see the demo of the day, and there's an area for teachers as well. Gorgeous pictures and bird songs make this a delightful site, for kids of all ages. Lot's of fun things to see and do. Citizens of all ages should be educated about the causes of water pollution in our city and what actions they can take every day to keep our rivers, lakes and drinking water clean and healthy. To help children understand the complex issues surrounding how stormwater pollution occurs and actions they can take to prevent it, the Stormwater Program staff has designed specific activities and educational materials to help them learn. You can also get more involved with helping to keep our stormwater clean by contacting Keep Omaha Beautiful at (402) 444-7774 and participate in a stream clean-up activity, drain marking event, or a number of other litter clean-up events. Don’t forget to join us at our annual World O! Water Festival. It’s a fun event where the whole family can learn about protecting and preserving our area water resources. Activities include canoe rides, face painting, animal exhibits, art activities, music, and food. 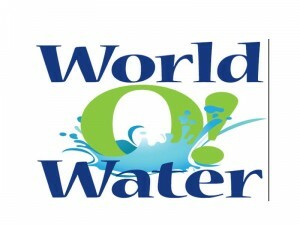 Go to www.worldowater.org to find out more about this great event! Watch the videos below for more information about the causes of area water pollution and how you can prevent it in your own neighborhood. These public service announcements were produced by the Nebraska Stormwater Cooperative. Wash cars infrequently and use biodegradable soap when you do. Recycle used motor oil and anti-freeze. Bring left over toxic materials to UndertheSink. Go to http://www.underthesink.org/ for more information. Build and install a rain barrel. Learn more about the Omaha’s Rain Barrel Program. Start a recycling center for paper, glass, and cans. Always put trash in trash cans – never in the street! Ride your bike or the bus, or carpool with a friend. Use water-based paints and wash up inside the classroom! Remind your parents not to apply fertilizer, herbicides, or pesticides if rain is in the forecast! Use kitty litter to soak up spilled oil from your driveway. Sweep it up and throw it in the trash can. Pick up your pet’s poop using a plastic bag or pooper scooper. Then, put the poop in the trash.